Recent advances in the area of sensor technology and affective signal processing create exciting opportunities to enhance interactions with games by an affective component. During game play, we record and analyse a gamer’s affective cues and dynamically change gaming parameters, for example, to balance the level of difficulty. This way, we put the player’s affective states at the heart of game play. The integration of affect-sensing technologies into game play bears great potential for social learning. While being exposed in-situ to selected stimuli in a game-like setting, people may learn to cope with negative affective states associated with socially-challenging situations, such as job interviews, negotiations or public speaking. In my talk, I will present a number of international projects which deploy affect-sensing technologies in game-like settings including social coaching, interactive storytelling as well as artistic installations. Elisabeth André is a full professor of Computer Science and Founding Chair of Human-Centered Multimedia at Augsburg University in Germany. She has a long track record in multimodal human-machine interaction, embodied conversational agents, social robotics, affective computing, and social signal processing. Drawing on the concept of computer-based role play with virtual characters, she has promoted a novel form of experience-based learning, for example, to help children and young people cope with bullying at school, develop intercultural sensitivity or master socially challenging situations, such as job interviews. 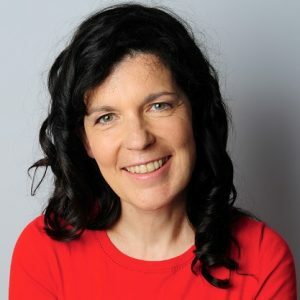 Elisabeth André has served as a General and Program Co-Chair of major international conferences including ACM International Conference on Intelligent User Interfaces (IUI), ACM International Conference on Multimodal Interfaces (ICMI) or International Conference on Autonomous Agents and Multiagent Systems (AAMAS). In 2010, Elisabeth André was elected a member of the prestigious Academy of Europe, the German Academy of Sciences Leopoldina, and AcademiaNet. To honor her achievements in bringing Artificial Intelligence techniques to HCI, she was awarded a EurAI fellowship (European Coordinating Committee for Artificial Intelligence) in 2013. Most recently, she was elected to the CHI Academy, an honorary group of leaders in the field of human-computer interaction.